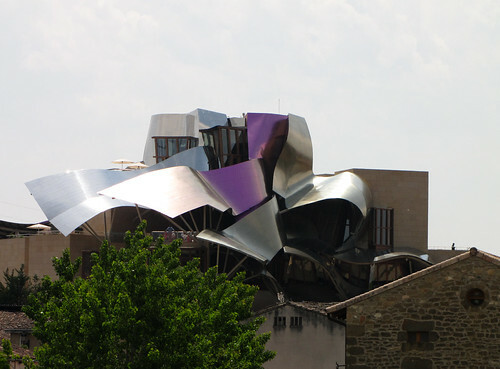 Here is an unusual hotel by the famous architect Frank Gehry whose World famous works include Guggenheim Museum, Bilbao; Walt Disney Concert Hall, Los Angeles; Experience Music Project, Project, Seattle etc. 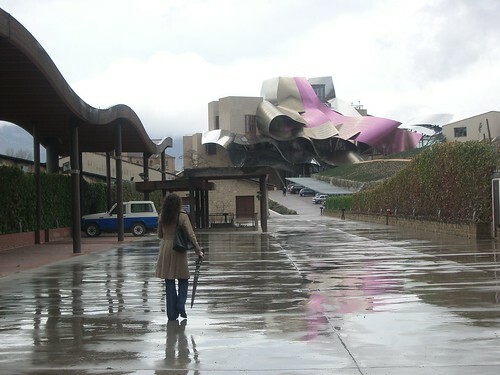 The hotel complex located in El Ciego, Spain is part of Marqués de Riscal "City of Wine". 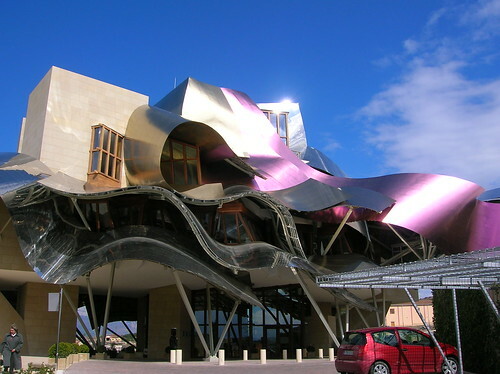 It is a complex housing a hotel, a spa of wine therapy, an exclusive restaurant, a meeting and conference center, banquet halls, and a wine museum. 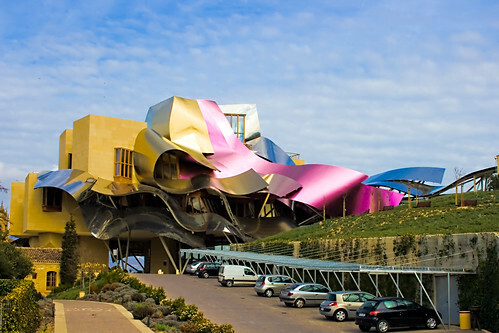 The exterior of the building very aptly depict the colors of Marqués de Riscal's wine - pink like the wine, gold like the mesh on the their wine bottles, and silver like the bottle top. Very nice design. I'm traveling a lot around the world via last minute travel, I never have seen such interesting hotel. I would like to try once.